Institutional money funds are constructed from weekly data collected by the Investment Company Institute (ICI), a trade association for the investment company industry. 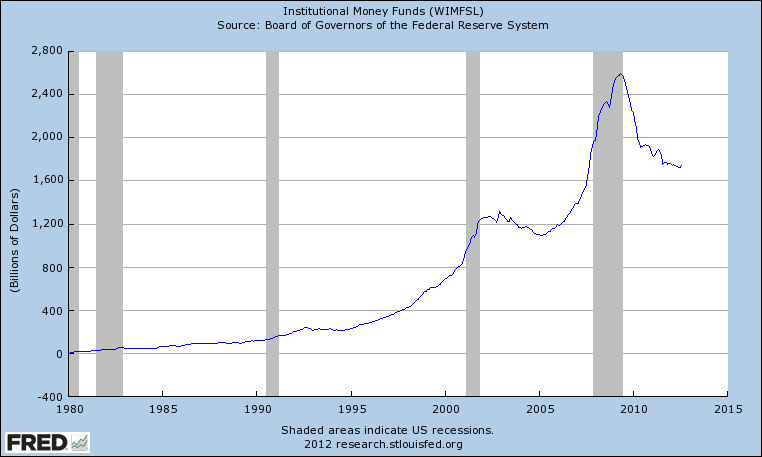 It forms a part of the Fed's money stock measures (e.g. M1). As of 27 August 2012, the figure stood at USD 1,741.9 billion, which was a reduction of 0.7% on the same period last year. 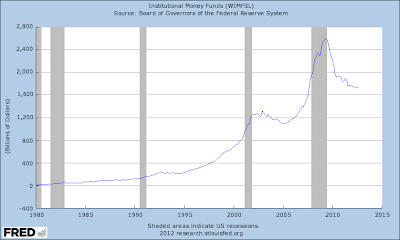 The figure was 32.8% lower than the highest ever reported, which was USD 2,593.5 billion in May 2009.